Greetings from the Fifth Circle of Hell, my malevolent minions! Not only is All Hallow’s Eve tantalizingly close, but also, my stupid leg is in constant agony unless I lay on my stomach like I’m watching Sweet Valley High and texting Stephanie about what a jerk Brad was to Emma after 5th period, omg can you even? Aaargh. I thought a lot of walking would help but it’s only made it worse. Bouncing from one injury to the next, stuck in this pinball machine of misery, I’m beginning to feel a bit like Mr. Glass. We got a while before Bruce Willis catches on that I’m the villain, though, so let’s talk about about two terrific concentrate gifts available for delivery from DC TeaPad that are taking my mind off my broke-leg blues. You can check out their entire menu on their new website! I’ve mentioned DC TeaPad before, as they carry some of my favorite edibles in DC, Cherry Blossom Confections. Now we’re gonna take a deeper dive into their menu. First, we’ll look at the strain-specific Golden Owl vape cartridge. Mine was Pineapple Express and that seems about right. I’m plenty familiar with this particular cultivar from the DC medical dispensaries and the Golden Owl cartridge provides an identical experience to those flowers. I find this hybrid to lean decidedly sativa, but doesn’t cause my thoughts to race. It brightens my mood considerably, but more than that, the world around me is displayed in vivid color- the sky bluer, the grass greener, the clowns impossibly, terrifyingly clownier. 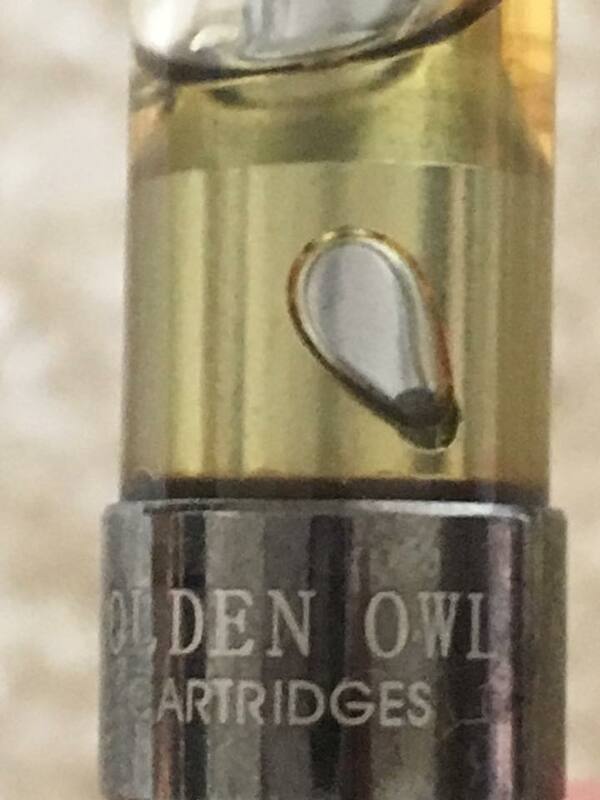 The flavor is excellent, slightly sweet from the added terpenes, and while it isn’t as strong as distillate-based cartridges, the Golden Owl still has good potency. Five or six puffs is satisfactory, then I push a button on the BB Tank battery (also available from DC TeaPad) and the cartridge folds in! 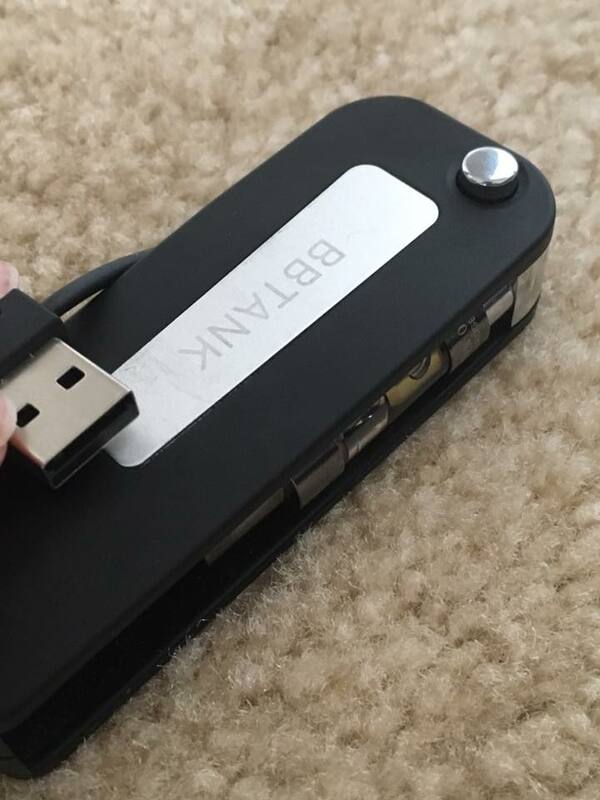 The BB Tank battery is quite slick. It looks more like a Swiss Army knife than a vape battery and more stealth is always a plus. Though bulkier in width vs a standard vape battery, this makes it far easier to keep the cartridge upright in your pants pocket and still leaves plenty of room for your other necessities. The BB Tank uses standard 510 threading that works with nearly every cartridge on the market. It also has a USB charger built right in so a Gentleman never has to spend time looking for one. Magnifique! But if you’re looking for something a bit stronger, may I suggest their distillate? DC TeaPad’s blend is absolutely top-shelf, easily one of the best distillates I’ve tried to date. Some of you are probably freaking out that it’s in a syringe. It’s medicine, baby! 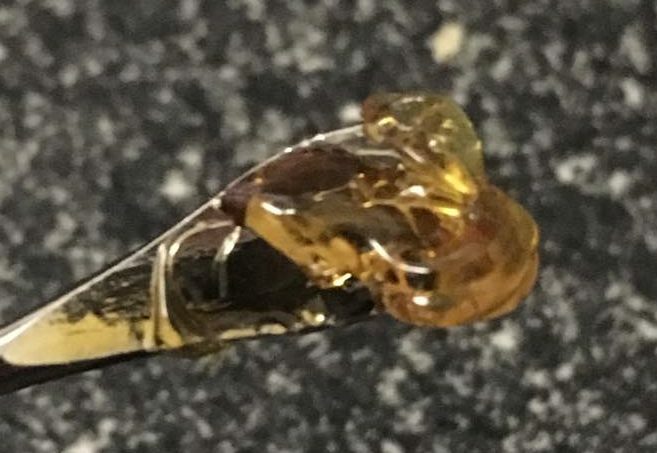 The syringe is great for storing the molasses-like consistency of this concentrate- I’ve lost a good amount of distillate to the inside of a glass jar’s cap before- and it is ideal for preparing an accurate dosage. You can drop a dab right on to the coils of your wax pen, no muss, no fuss! DC TeaPad’s distillate blend has an earthy, natural, slightly husky flavor on the inhale and dynamite potency. A powerful bulwark against anxiety and depression, but also a little on the brain-melty side, which is good if you’re in terrible, heartbreaking pain. No, no, I’m fine, you just stay right there. I wouldn’t want to be a bother. Anyhoo, you’re gonna want to save this for after work, unless you’ve got one of those inanely repetitive gigs like babysitting the Moron-In-Chief. Lulz. The Gentleman highly encourages those few tasked with keeping Baby Boss from instigating a nuclear war to remain calm and dab deeply of DC TeaPad’s premium distillate, as he does you, my very bestest special friend in the whole universe, Sprinkle Cupcake Pony Dragon. Uh…yep, my afternoon meds are kicking in, so I better be signing off. DC TeaPad has their own website now! Go click it! Concentrate, DC, DC TeaPad, Delivery, Gear, Recreational, Vape Cartridge. Bookmark.